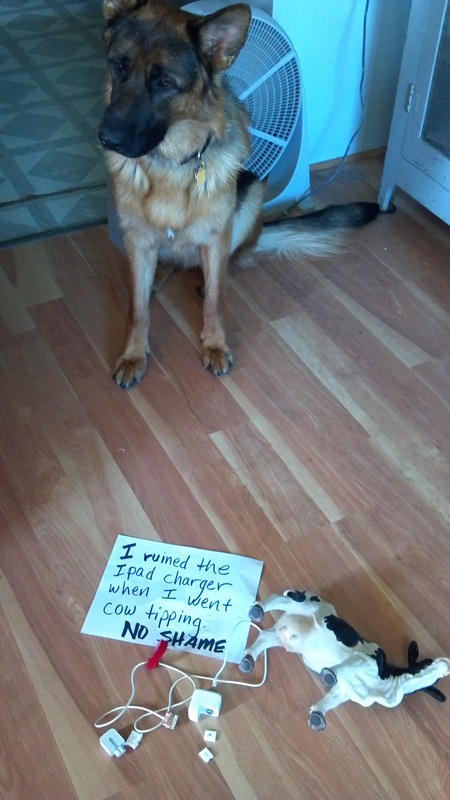 “I ruined the iPad charger when I went cow tipping. No Shame” The cow statue that was on the kitchen counter when I left, ended up on the living room floor along with the iPad charger when I came home. Clearly it was a fun day for him. Posted December 9th, 2013 .